The sun has broken through the clouds here in Cairns and despite the forecast of thunderstorms this afternoon I have a feeling that this is going to be a wonderful day/night! I’m listening to local Cairns radio at the moment and they are repeatedly saying that the concert tonight is “The biggest musical event to hit Cairns in years”. Sharon Robinson and Roscoe Beck were specifically named and the band mentioned as a unit. Also stated is that there still are seats available – unbelievable! I’m lucky enough to have a dead centre front row seat. You know the price for that privilege is almost HALF of what I paid for a centre sixth row one in Melbourne. It’s hard to explain that because the venue tonight is agreeably more intimate than those big stadiums down south and you would think because of logistics etc. it would cost more. Love reading about your adventures, Bev! Keep posting.... and have a wonderful time tonight! Cairns is very close to my heart as it's where Mark and I spent our honeymoon.... would love to be there right now. Last edited by joyezekiel on Tue Nov 26, 2013 6:41 am, edited 1 time in total. Cairns is in the state of Queensland – the northeast corner of Australia. Cairns Convention Centre is a multi-purpose arena that opened in 1997. It is situated on the shores of the Great Barrier Reef and surrounded by ancient tropical rainforest. 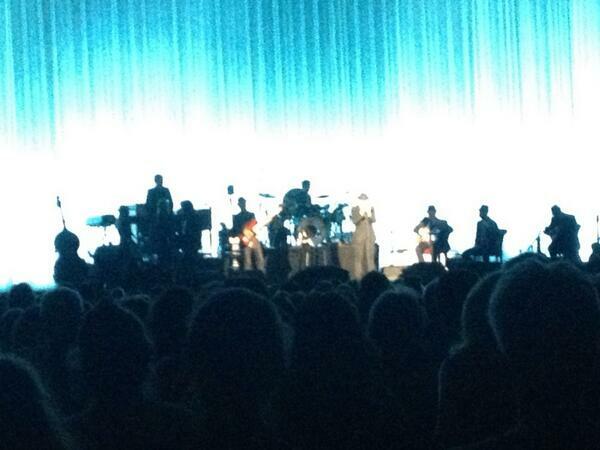 Leonard Cohen’s show is in Hall 2 - capacity is 5,000. UNDER a week remains until iconic Canadian songwriter, poet and novelist Leonard Cohen lands in Cairns. The revered 78-year-old singer songwriter, author of Suzanne, Hallelujah and Famous Blue Raincoat, is regarded as one of the world's greatest living musicians. He is also a Companion of the Order of Canada, the nation's highest civilian honour, alongside a Prince of Asturias Award-winner for literature. Performing in Cairns for the first time, his show at the Convention Centre is a rare chance to catch the icon in action, backed up by a 12-piece band including The Webb Sisters and Sharon Robinson. Hattie Webb from The Webb sisters told News Corp Australia that despite a gruelling schedule, Cohen and the band would be at their best next week. 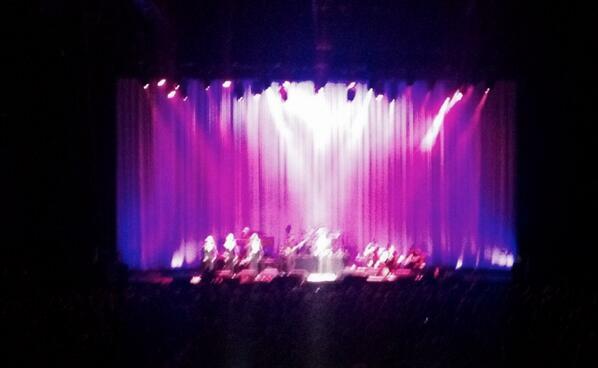 "I suppose most concerts are 90 to 100 minutes but Leonard's shows are closer to three-and-a-half-hours," Webb said. "I think Leonard has more stamina than anyone else in the band." 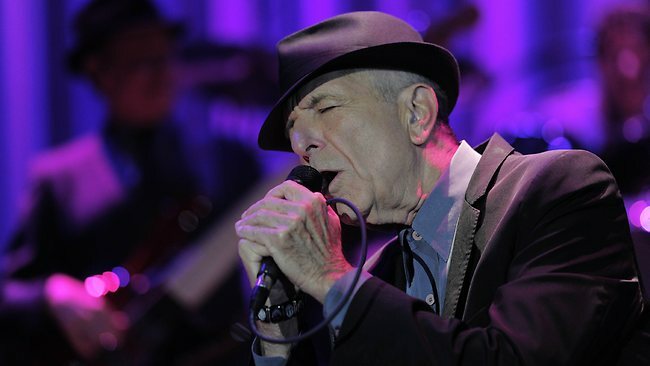 Leonard Cohen performs at Cairns Convention Centre on Tuesday, November 26, from 8pm. Tickets are on sale from ticketlink.com.au or 1300 855 835. Bev thank you for your concert reports and updates. So happy you are having such a good time. I'd love to be there. Enjoy and am loving reading all the reports from the Australian tour. Thank you everyone. Last edited by sturgess66 on Wed Nov 27, 2013 5:42 am, edited 1 time in total. I have a feeling that this is going to be a wonderful day/night! I’m listening to local Cairns radio at the moment and they are repeatedly saying that the concert tonight is “The biggest musical event to hit Cairns in years”. I believe it is about 4:00 a.m. right now, in your part of the world, & I trust the night was as wonderful, if not even more so, as you anticipated, as evenings with Leonard Cohen always seem to be even more wonderful than one can possibly imagine, no matter how many times one has the honor of such a blessed evening. I'm so glad to hear that you are arriving at all your destinations, safe & sound (though understandably exhausted), & having such a great time. I wish I could be there with you - (I've been saying that we must commission the construction of a new supersonic jet. . .) - & I greatly appreciate all your fantastic reports & photos, & look forward to hearing some of those recordings! I come to these threads every day, looking for concert reports, so I want to thank you for providing them so diligently & skillfully - it allows me to feel the energy, the love, the beauty, the bliss. . .almost as if I were actually there. I trust your fear of flying has been significantly diminished - maybe almost cured - maybe totally cured (if that's possible??) - in the course of these wonderful journeys - I hope so! Thank you again for all the great reports & photos, & enjoy the rest of your journeys & concerts! I am with you in spirit, as you were with me - on the airplanes & at the concerts! I also want to thank everyone else who has been providing all the lovely reports & photos - they are greatly appreciated, & I'm so glad that our friends in Australia are being showered with so many joyous concerts, after such a long wait. I'm sure you are cherishing every precious moment, so keep on enjoying the bliss! Sorry I’m a little late with this, been a bit pre-occupied. Another excellent concert. They are all different in their own ways even though the set list remains fairly static there are subtle changes in the musical arrangements; some planned and some ad-libed. First one: My camera insisted on having its own wobbly way again. I think Linda was right when she said there’s a ghost in it! Second one: Because I had a dead centre front row seat and the stage was not high and really close. If my arm was twice the length I could have reached out and touched Leonard when he came to the front. That being the case, I felt I was invading his personal space with my camera. So after a few shaky shots I gave up and completely immersed myself in the moment at hand. Besides, I find you actually miss the feeling of continuity while fiddling around with a camera (especially one which behaves like mine!). Background info – In Australia, Cairns is spelt with an unpronounced ‘r’. He varied the last bit of banter in Tower Of Song, reminiscent of when he first started doing it between the doo dum dum dum, day do dum dum’s of the girls. He said “Ah, don’t stop, just a little longer, just two or three more, before I have to confront this extremely generous audience, but nevertheless as you know, any concert is filled with abundant possibilities for humiliation. Just a little longer before I return to what I must do. Have I told you how much, how much this means to me. Well baby, I’m tellin’ you now! Thank you.” Absolutely cracked everyone up! Near the beginning of Going Home Leonard sang this line “he just doesn’t have the cojones to refuse”. Well, there was astonished raucous laughter, especially among those who knew the original word and newly substituted word. Seems “cojones” means the same in Canada as it does in Australia! (it’s actually Spanish) Literally translated, they are part of a man’s anatomy and definitely something that females don’t physically possess although some do mentally! Generally it means “have the guts”. Leonard was undeniably in a cheeky mood last night!! Well, my chant of “one more, one more ....” didn’t work this time. The concert was late starting and there was a curfew in place. Only 25 songs were sung ending with Closing Time. LC&LC has already posted the actual sung set list but here is the stage set list which I was again fortunate to receive. After 3 days in Cairns I reckon the UHTC are tropically adjusted and today we all are in Townsville where there is some relief from the 90-100% humidity of Cairns. I have to state that I’m missing playing my violin. I usually play every day and it feels strange not to do so. All violinists have corns on their string fingers and mine are becoming soft so it’ll be a bit painful when I start to play again. Needless to say, Alex is such an inspiration! I met Hattie, Mitch and Javier today. All absolutely charming people! Now onward with the magical mystery tour! for you kind words! I haven't hardly had time to know what city I'm in let alone get some sleep. Had only four hours last night and it's almost 1am here and now I'm off to bed! So glad you are enjoying my journey. My audio recordings are not very good unfortunately. My fear of flying is still there but I'm working on it! Thanks Joy, It was a great night and I'm having a wonderful time - half way now, only 4 concerts to go! mutti wrote: Bev thank you for your concert reports and updates. So happy you are having such a good time. I'd love to be there. Thanks Leslie, I wish both you and Joy were here to share it with me too! Last edited by B4real on Thu Nov 28, 2013 3:45 am, edited 2 times in total. Near the beginning of Going Home Leonard sang this line “he just doesn’t have the cojones to refuse”. Oh, I do hope someone got a video or audio recording of that. Thanks for informing us of this very interesting alteration to the line, Bev, & for your, as usual, wonderful report. I hereby declare Mr. Leonard "Leonardo" Cohen a fully-acculturated resident of the City of Los Angeles, Former Home of the Gone-but-not-forgotten Kosher Burrito. And for the record, I think he does have them. I'm surprised he doesn't clang when he walks. OK except for the misquote from the recitation. Seven words are all that’s required to explain the worldwide phenomenon that Leonard Cohen in concert has become, and they came from the mouth of the man himself early on in the Cairns leg of his current and, in all probability, farewell, 10-date tour of Australia. “Tonight we’ll give you everything we’ve got,” the legendary poet and singer-songwriter earnestly promised, and over the following three hours, the Canadian and his crack nine-piece multi-national band duly honoured that pledge. Cohen was both munificent and magnificent, exuding oodles of charm and grace as he belied his 79 years with a characteristically generous 26-number show that contained pretty well all of the signature songs from his six decade career, free of fuss or ado. There were no flash trappings or artifice, just a stage full of dark suited and mostly hatted musicians and techies going about their business in consummate fashion. There was no Jaggeresque gyrating from the great man, just the odd hop and skip, genuflection and supplicatory bowing and doffing of hat to the band. Praying mantis was his preferred position, as befits a sober septuagenarian. Cohen countered the gravitas of his songs with some droll remarks. “Thank you for endangering your household budgets,” he quipped to a packed auditorium, in deference to three-figure ticket tags. “Are you humouring me?” he laughingly inquired, alluding to his advanced years, after a Grade Eight keyboard solo in ‘Tower Of Song’ elicited wild applause from the adoring throng. Cohen’s spasmodic guitar playing was rather more effective, although similarly basic. The laughter was leavening. Attending a Cohen show can be likened to a religious experience. The deep ecclesiastical tone, worthy of a pontiff, and the biblical allusions in his hymn-like songs to remorse, retribution, revenge, repentance and other mass nouns beginning with the letter ‘r’, certainly promote reverence. Cohen’s slow enunciation and sonority peaked in the more romantically inclined offerings. A large female audience swooned as one when the dapper Canadian launched into a stripped back rendition of his gentle ballad ‘Suzanne’. You could hear a pin drop during an impeccably delivered recitation of ‘A Thousand Kisses Deep’. “And sometimes when the night is slow / The wretched and the meek / We gather up our hearts and go, A Thousand Kisses Deep.” He oozed urbane sexuality and masculine assurance in ‘I’m Your Man’, another set highlight for this inveterate fan. In rockier mode, Cohen and band’s stirring rendition of ‘First We Take Manhattan’, which concluded his first encore, had punters bopping in the aisles. The members of Cohen’s classy backing band were equally mesmerising as each took a turn in the spotlight without a vestige of ostentation. Needless to say, their primary function, of contributing to ensemble excellence, assisted Cohen immeasurably in replenishing audience connections to his incomparable back catalogue. Bassist/MD Roscoe Beck (in a tight-as engine room with Mexican drummer Rafael Gayol) and his fellow Americans, guitarist Mitch Watkins and principal back-up vocalist Sharon Robinson, demonstrated the assurance and poise that comes with having enjoyed an association with Cohen extending back to 1979. Whether in unison or three-part harmony, Charley and Hattie Webb combined symbiotically with Robinson, especially so on ‘Come Healing’. The UK sisters brought the house down on their own in a folky duet rendition of ‘If It Be Your Will’. Javier Mas provided exotic colouring on bandurria and other Spanish lutes, crafting a riveting intro to ‘Who By Fire’ on his bass laud. Moldavian Alexandru Bublitchi’s beautifully constructed gypsy fiddle breaks were similarly effective. A scintillating Hammond B3 solo from Neil Larsen lifted ‘Hallelujah’, a song that has just about been done to death thanks to a landslide of cover versions. By the end of a marathon concert that seemed to pass with indecent haste, the audience rose as one to accord the tireless Leonard Cohen and his magnificent band the standing ovation they so richly deserved. The show will linger long in local memory banks. Leonard Cohen’s remaining performances in Australia are at the Brisbane Entertainment Centre (November 30), Wollongong Entertainment Centre (December 4), Geelong’s The Hill Winery (December 7) and the Adelaide Entertainment Centre (December 11).